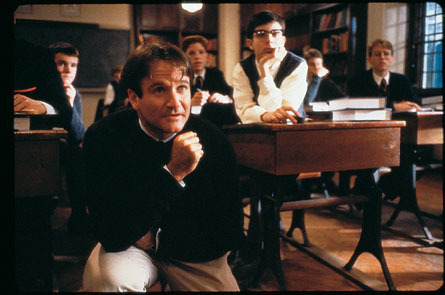 I watched the Dead Poet Society! It must have been the most enjoyable and inspirational movie I’ve ever watched and I’ve watched a great many. It topped star trek (2009), which I’ve probably seen seven times because it’s just really fun to watch. The film has a really nice theme and I fell in love with three of the characters; Neil Perry, Todd Anderson and John Keating. I like the movie most of all because of what “Mr Keating” taught. non-conformity and the like. Seizing the day (I don’t do this but I love the idea!) It was very motivational for me. These past few weeks I felt like I was just standing with nothing to feel or touch or sense. And watching that movie was like a huge gush of wind it made me want to spin around. You have to watch it if you haven’t! But it might not be to the taste of pessimists or realists.Oh and of course Robin Williams is in it! What an admirable actor. I like films/dramas with strong messages or deep and intriguing friendships. For a lot of the stuff I watch that lack both I’m usually like “Oh, that was good.” but when I actually think about it for five minutes, I realise it really wasn’t at all. I just read the “most inspiring movies” list. There’s a few about racism, but I don’t like movies based on racism they make me misanthropic. It doesn’t matter whether it’s about fighting against racism. The fact of the matter is that racism exists, and just that makes me annoyed. It’s a stupid thing, it shouldn’t exist. So arguments and literature and anything else about it p*** me off more than anything. I’m not inspired or entertained. And what’s up with the “Grapes of Wrath”? I read half of the book and then the end. I didn’t get anything from it at all. I was very confused as to why it is so praised. Okay so I’ve gone off on a tangent. I was supposed to talk about fictional friendships that I like. In Dead Poet Society, I really liked Todd Anderson and Neil Perry’s friendship. It was nice seeing Todd cry in the snow. Very Pretty. I liked watching Spock and Kirk interact in the 2009 Star Trek movie. I’m not sure what in particular it was that I liked except maybe that they are both very smart but also outwardly polar opposites. But I’m sure there’s more to it that I can’t seem to identify right now. 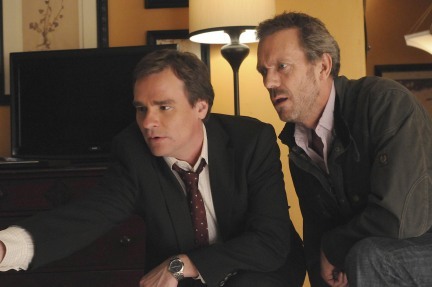 House and Wilson’s (from “House MD ” a medical drama) friendship is quite a complex one but at the same time very simple. And they’re both witty and humorous so their confrontations are always nice to watch! The same actor (Robert Sean Leonard) plays both Neil Perry and Wilson! Isn’t that curious. The actor plays both characters so brilliantly! I was also quite absorbed by Lennie and George’s friendship in “Of Mice and Men”. Not so much anymore since it became too flat when I compared it with House and Wilson’s. I guess all relationships when stripped bare are boringly simple. It’s nice that they’re all covered up and made exquisite by the randomness of human emotions and needs and thoughts, all that other chaos inside our heads that there are no words for.